Blogging is a fantastic way to get your ideas and passions out into the public sphere, publish research, and build a name for yourself as an expert in your field. Whatever you’re passionate about, or whatever you’re avidly researching, you can be guaranteed to find other people online who are interested in the same things. People will usually find your blog through search engines, word of mouth, and links to it in your social media profiles.If they like what they read—and especially if you’re offering a new or unique perspective on something—they’re very likely to pass posts along to friends or colleagues. Over time you will build a community around your blog of people who are always looking forward to your next piece. Among other things, writing in a blog allows you to think out loud and develop solutions to problems, or come up with new ideas as you work your way through the creative process. Having a written record like that can be very useful when you want to look back and talk about how exactly you arrived at a hypothesis, if you’re working on research. The community that you build around your blog can be invaluable for providing new insight as well as support for your projects. Never underestimate the value of having interested, engaged people who are looking forward to the next snippet of data you release when you’re hard at work on something. It can definitely keep you enthused about your projects and bolster you up when you’re having a rough time with part of one. What are you passionate about? What do you love talking about? What fascinates you? These are all good questions to consider when you’re thinking of what topics you would like to base your blog around. Some people prefer writing about a wider range of subjects than others. Some find their niche and stick to it. There are positives and negatives about both approaches. Writing about a range of topics will draw more generalized visitors, who may be interested in some of your posts, but not others, depending on their own research topics or passions. They may or may not decide to become followers of your blog, based on how much of your content holds their attention. A lot of people do love reading about a wide range of topics—consider how many things are typically covered in each issue of many generalized science magazines—so if this is your approach, don’t worry too much. Your audience will build over time. Writing about a smaller subject, or a niche subject, can be a reliable way to garner attention, because the content in your blog is focused around a single thing. When people are using search engines to find articles or information about something, it will show up more easily than generalized blogs, and you will have a lot of interesting things to show people who decide to click on it. Visitors may stay long enough to get help or inspiration with their own projects or, if they’re like you, they’ll want to read every single thing you post because the subject is something they also love or they share your field. Engaging with the people who comment on your posts can be very rewarding, and you can even network and make valuable new contacts through your posts and chatting with visitors. People tend to remember it when someone takes the time to respond to their comments or their questions, so if one of your goals is to get yourself out there and build a name for yourself, this is a particularly important aspect that you should use to your advantage. Even if that isn’t one of your main goals, it never hurts. Your budding community needs to be nurtured and cultivated, and talking to people is the way to do that. Whenever you write or find something that you’d like to post, it’s an extremely good idea to add pictures, links to other articles or news sources, videos, quotes, and always give credit where it is due. Pictures, videos, and snippets of quotes and articles give people something more than a wall of text to look at and holds their attention significantly better. A blog shouldn’t read like an ancient, dry textbook. Some people like to add notes under their posts with a sort of bibliography of links and cited sources, and others will link things in the main body of text. Either way is good. It makes you look respectful, responsible, and trustworthy. When you’re adding things to your posts, make sure that the things you’re using aren’t unsourced or stolen. That is an easy way to turn off new readers and even get in trouble with the authorities. Many things are licensed under the Creative Commons agreement, but there can be slight differences in what exactly the copyright owner will allow you to do with their work and how they want it to be credited, so make sure you pay careful attention to the license. There may be other things that you would love to use that don’t seem to have an obvious usage rights agreement posted anywhere. Contact the owner of the site where you found it, or the author or photographer, if you found it on another blog on a network site or through something like Flickr, and ask. Lots of people are very happy to share their work under these simple terms. Just as much as you’re thrilled to have people interested in your writing, they love having someone appreciate their hard work, too! Write things you would like to read. This is the most basic principle: if you wouldn’t be interested in it, chances are, other people would not be, either. Don’t always write long essays—people enjoy reading short, pithy posts, and keeping things fresh helps hold readers’ attention. People also enjoy reading lists of fascinating facts about new things. It gives them things to remember about the topic and a few new talking points, or things to post on their own social media accounts. At the same time, don’t let that deter you from writing long posts. If you’re working your way through new research, you may have a lot to say about it, and some topics simply need a lot of writing to cover them adequately. Use pictures, summaries after vital sections (try making a list of the three most important points), and subheadings to hold your readers’ interest and keep the post from seeming too dry. Make sure your posts have a good title. Try to include what the post will be about in the title, such as, “Exciting New Findings on Supermassive Blackholes” instead of “Exciting New Findings”. Vague titles don’t tell your readers what they’re about to click on and they’re more likely to skip past them. Always ask yourself if you would read a post with the title you’ve chosen. If you wouldn’t, keep working at it until you think up a good one. When you’re just starting out, recruiting a few friends or family members to give you their opinions of both your titles and your articles. This can give you some much-needed reassurance in until you get your feet under you and have a better idea and feel of what you’re doing with your blog. One more thing that many people don’t always think of doing is to read other people’s blogs! Think about the posts you enjoy and the posts you don’t, and why. This can give you insight into what makes a good post fascinating and what makes another post very dull. The internet is a big place and there are a lot of bloggers. How are you going to stand out in the crowd? This is a concern for many budding bloggers, but there are many ways you can catch the attention of your target audience. From the very beginning, you should use good website practices. This means doing things like writing good headlines, using tags for your posts (something built into WordPress, which is highly recommended for your blogging platform), and making sure to use the subject of your article in your title and your tags (such as “supermassive black holes”) when you can. There are many more different blogging sites out there to build your blog on, so weigh up what you need before you start building. You should also post links to your posts on your social media accounts. If you have both professional and personal accounts, choose what you feel most comfortable with at first, but in time, you’ll likely be publishing links on both when you’ve gotten yourself a little more established. All of these things combined will make it easier for search engines to think highly of your site, which will make it rank better, and people will see it without having to scroll very far or click through several pages. If you really want to delve into what makes search engines tick, looking into Search Engine Optimization, or SEO, can be useful, but keep in mind that you are writing articles for people to read—not search engines. Another important factor is making use of the ability to write guest posts for other sites, or joining science blog networks that feature a selection of authors who post regularly. These sites have a fairly large amount of website traffic already and when your work is featured on them, some of that traffic will invariably follow the link back to your blog to check out some of your other posts if they’ve enjoyed what they read.Over time, between these sites naturally generating links back to your site (something search engines love) and people coming over from the other sites to read your blog directly, a reliable audience for all of your new posts will build up. To find blog networks, just put “science blog network” into your favorite search engine, and also keep in mind the sites that you already read regularly. Many of them will want you to make some sort of pitch for the article you want to write for them, so being able to write a good summary is useful. There are informational articles on writing good pitches online that you can look up to give you some ideas on how to do it. Others will also want to see a portfolio of your writing (typically in the form of 2-3 posts you’ve published somewhere). It’s good to spend a few weeks working on your blog and building up a nice assortment of posts you’re proud of, and spending some time polishing your writing skills, then select your best work to show them. Both writing a good pitch and picking out your best work can be good times to recruit amenable friends and family to look things over and give you a second opinion before you send it off! If you get turned down, don’t take it too hard. Many famous writers have entire desk drawers of rejection letters. If you’re only targeting very well-known blogs, try aiming for some of the lesser known ones that still have a respectable website with reliable research on them. Read through what they publish—it doesn’t look very good to be published on sites that take questionable content—and you want to establish yourself as an expert. They receive fewer submissions, and yours will stand out more. The popular ones often have a deluge. Having a few publishing credits outside of your own blog looks very good on your writing resume when you’re trying to get the well-known blogs to pick up some of your work. One thing to decide when creating a blog is whether you want to host your blog on your own domain and have complete control over it, or use a pre-made blogging platform, like Blogger or WordPress.com. While it may sound daunting to host a blog on your own domain, it’s actually very easy and has many benefits that using another platform doesn’t. If you’re hoping to make a name for yourself in the industry or establish yourself as an expert in a field, having your own domain name to put on your business cards and social media looks far more professional and polished. It also can get more traction with search engines, and visitors tend to look at blogs with their own domain names more favorably: they view them as more authoritative and less amateur. 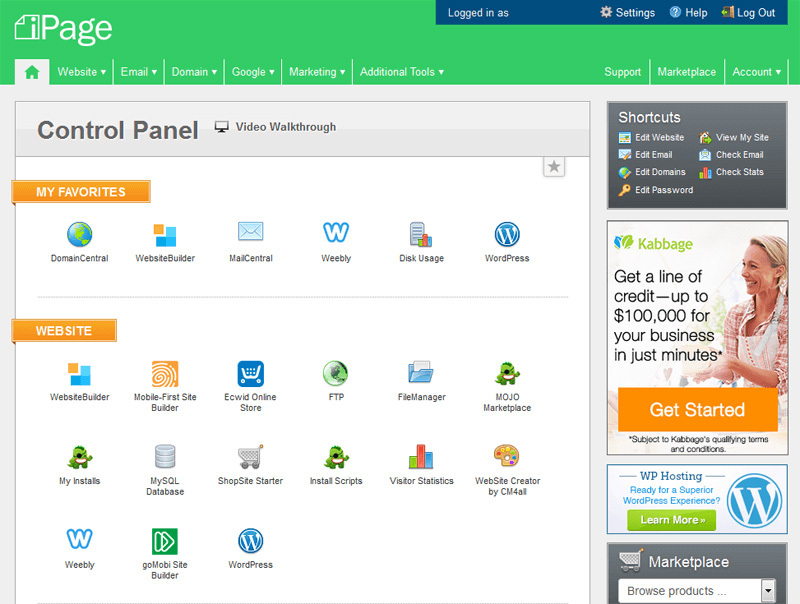 One of the easiest hosting companies to use for a self-hosted blog is called iPage. Creating your new blog with them is very simple. Visit iPage.com and click on the sign up button to get started with a free domain name. Enter some of your ideas what you’d like to call your blog, or your own name, along with the desired type of domain, such as .com, .net., .org, .uk, and so on. iPage also offers .space and .tech, which may be of special interest to you for your science blog. You are more likely to be able to score the name you want with a less common domain extension, so if professorsmith.com isn’t available, professorsmith.space might be, and iPage will give you a list of your options if the one you initially want is taken. Take your time and experiment with names and extensions until you find the one that feels right to you. After all, this is the name you are going to associate with yourself and your online work, so you want it to be a good fit that you will be proud to use when networking and on your social media sites. Next, it will take you to the screen to enter your personal details, and enter your payment information. 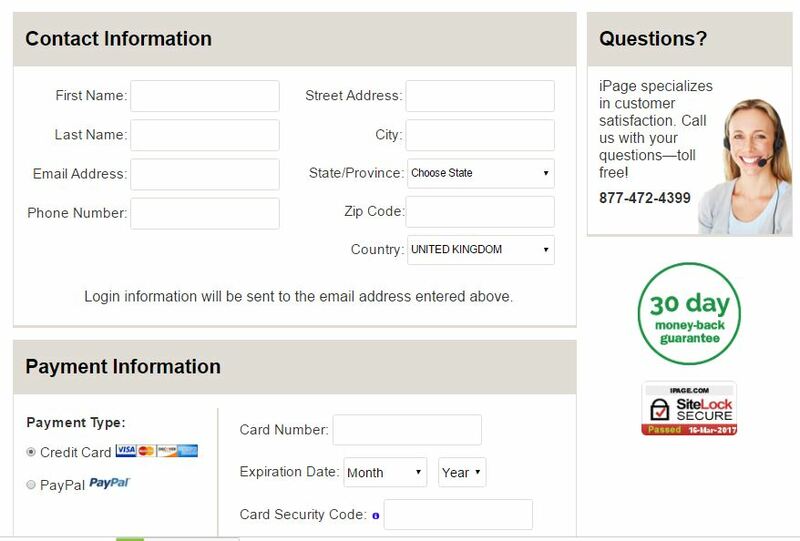 You can use credit or debit cards and Paypal with iPage. Following that, you will need to select the hosting package you want. They come in one, two, and three year options. Longer packages do cost more but are cheaper in terms of the month to month rate and give you the freedom to not have to worry about renewing for quite a while. Domain privacy is an option that will shield your name and address if someone looks up the owner of the domain. If you are concerned about your privacy, or are using a home address as opposed to an institutional address or P.O. box, it may be something you would like to include. Underneath, there are a set of options called Website Essentials. 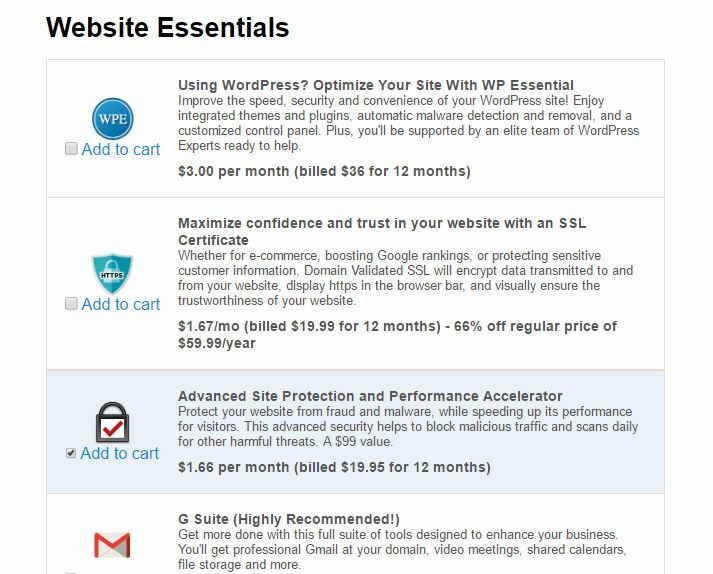 WordPress Essential offers you a few nice benefits, including themes, plugins, and tech support for any WordPress questions you may have while working on your site. It isn’t necessary (you can access tons of themes and plugins for free), but might be nice to have. Second to the bottom, however, is the option to automatically back up your site every 24 hours. This protects your data and files in the event that something important gets deleted or corrupted, or despite how secure WordPress is, somehow a hacker gets through and makes a mess of things. An automated backup is extremely helpful to have—anyone who’s ever had a hard drive crash knows how painful it can be to lose data—and makes things worry-free for you. Select the options that you’re interested in having, and then check out. You’ll be redirected to Mojo Marketplace where you will see an option for One-Click Install. 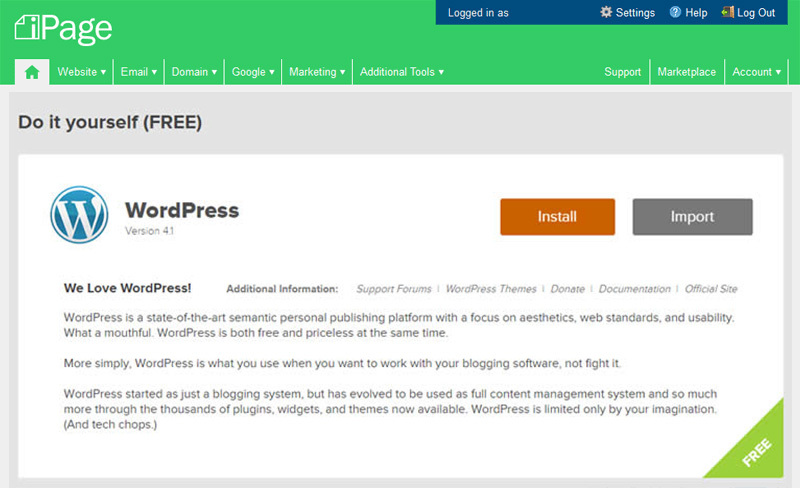 Hit the Install button and select your blog. The box after the / that says “directory” is what you would use if you wanted your blog to be on professorsmith.space/blog instead of on what’s called the root domain—just your domain name, so it would be the first thing people see. It’s highly recommended that you do not use a subdirectory for your blog and install it on your root domain. You may get a message saying something like, “Some files already exist at that location.” That simply refers to the default index page of your website and can be overwritten without any concern. It will take a minute or two for it to be installed. You will receive an email notifying you that WordPress was successfully installed, but if you don’t, go to the Mojo Marketplace, log in, and click on Notifications. That will give you the information you need to log into WordPress, and your administrator username and password. That’s all you need to do. Log into WordPress using the url you were given and you can begin blogging. You may want to customize your blog with a different theme, a header photo, set the date and time options the way you like them, and various other things.You can find themes under Appearance on your WordPress dashboard, and other things under Settings. Look around and familiarize yourself with your new dashboard and find out where things are and tweak things until you’re satisfied. Once you’ve done that, you’re ready to start writing your first post in your new science blog!